A defining film in the history of cinema, The Godfather introduced a legendary filmmaker and several acting greats in the telling of an Italian American dynasty undone by the tragic circumstances of their criminal exploits. Of the many themes which The Godfather touches upon, it is that of “family” which resonates the most. 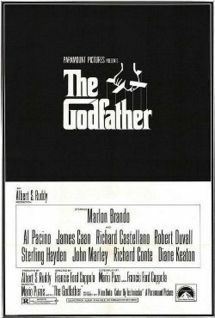 The film is based upon the novel by Mario Puzo (who co-wrote the screenplay) and many sub-plots were minimised or thrown away by director/co-writer Francis Ford Coppola, himself an Italian American and family man. He knew that the only way to make Puzo’s sprawling novel work on screen was to focus on the familial relationships within this crime story, whether it be father to son, brother to brother, or husband to wife. In this world blood is not only thicker than water, it is holy. Coppola opens the films with an interesting shot of a pitch black screen giving way to a desperate figure, an undertaker pleading to Mafioso patriarch Don Vito Corleone (Marlon Brando) to revenge the savage beating of his daughter. It is the wedding day of the lone Corleone daughter Connie (Talia Shire), and no Sicilian can refuse a request, which Don Vito takes on with reason, while also subtlety enforcing his position as a man to be respected and feared. Brando’s casting was a coup for Coppola, for three reasons. First, it exhibited the brilliance and innovation of Brando’s thespian prowess, creating a wholly new mafia figure within a world of stereotype. Second, it re-established Brando’s standing as a major player after years of being labelled “box-office poison”. And third, it points to Brando’s influence as “godfather” to a generation of actors, many which play his children in this film. Plot wise, The Godfather begins with the attempted assassination of Don Vito from a rival crime family unhappy with his refusal to enter the narcotics trade. With the Don temporarily out of the picture, it is up to his sons to run the Corleone clan. 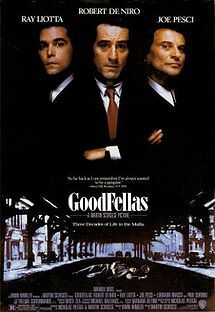 There is hot tempered Sonny (James Caan), meek mild Fredo (John Cazale), adopted son of Irish ancestry Tom Hagen (Robert Duvall), and the fiercely independent Michael (Al Pacino). It would be Michael who comes through as successor, and as a result The Godfather is as much Pacino’s film as it is Brando’s, introducing himself with a revelation of a performance. Pacino was at first in the firing line from studio heads at Paramount for what they felt was miscasting on Coppola’s part. Their minds were swiftly changed after viewing a pivotal point in the movie known as “the Sollozzo scene”, which displayed Michael’s true murderous, Machiavellian nature in his disposal of his father’s would be killer and corrupt police official. This is followed by Michael’s self exile to Sicily, which sells the romantic nature of The Godfather, with the visuals of lush country side Italy coupled with Nino Rota’s hypnotically melodic score. Yet there is a darkness which protrudes form this romance. This is a film about the mafia after all, and death at its most sinister and intimate is featured throughout. Thus underlines the tragedy of The Godfather, with the sins of the father bestowed upon his children, who if not met by deaths hand will be plunged into hellfire for their actions, especially that of Michael’s. 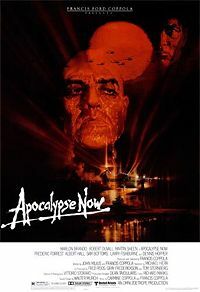 Coppola expertly stages this fact in a sequence which features the death of the Corleone’s enemies, while Michael stands as spiritual godfather to his sister’s child within a Catholic church. In the end Michael and his family stand tall, yet there is a void in their victory. Coppola has not only made the greatest crime movie of all time, he has also portrayed how the Mafioso policy of “an eye for an eye” has delivered this family unto eternal darkness.